Whole Living Life Coach. Yoga Instructor. Motivational Speaker. Lauren brings holistic balance to the busy professional. Her coaching practice centers around helping individuals find work/life balance for increased happiness and heightened performance. 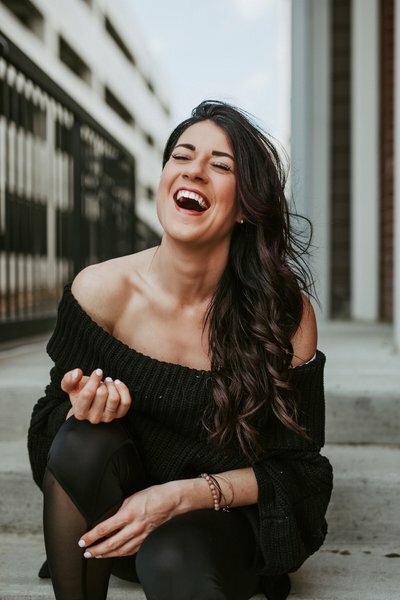 Lauren believes that yoga, meditation, and proper self care can give anyone the balance they need to take ownership of their body, believe in themselves and live a happy life. 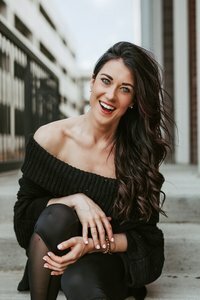 In addition to her coaching practice, Lauren teaches yoga at multiple studios in the Nashville area and co-leads 200 hour Yoga Teacher Training Certification Courses with Phoenix Yoga Teacher Training. When she is not teaching, you can find her traveling, speaking and leading workshops to promote her ultimate message of balance and self care. join thE Balanced life community on facebook! I racked my brain this week desperately trying to decide what I was going to write about in my first blog post. I was certain that the topic would fall into my lap from the inspirational, high heavens but the truth is, the inspiration came as it always does... when I was not looking. Friend: "How did you finally decide to plunge head first into following your dream?" So many of us go through life thinking the universe is always against us. Believe me, I know. I spent most of the past three years on a roller coaster that had more death drops than moments of serenity. That roller coaster brought a few severe health scares, a personal decision to leave an endeavor I poured my heart into, and a hurtful end to a few romantic relationships. Life was beyond messy for me, but for the first time in my life, I was open and willing to let it all fall apart. My ability to surrender to the destruction gave me the energy to create, and create big. I am now doing things I never thought imaginable, and the most amazing accomplishment of it all is that I truly love every minute of what I have created. I have since told my clients this advice. When you are able to surrender in knowing that your life is unveiling exactly as it suppose to, the ease of accepting the messiness becomes part of the beauty. So just breathe, and drop the control. Life is hard, we all know this, but it is also the most beautiful gift you will ever be given. Take a moment today and congratulate yourself because you are EXACTLY where you are suppose here in this very moment. Below I have listed five tips that can help you cope with any difficult situation. If you have never tried meditation, I invite you today to try it on. It is a very powerful tool to help you deal with the messiness of any situation. Grab a journal, a piece of paper or a notebook and write down what it is in your life that you are having a difficult time moving past. What roadblock are you encountering? Turn your road block, written on your piece of paper, and make a mental picture of what it would look in a single, one framed photo. For example: if it is a relationship that needs closure, maybe you imagine the person with whom the closure needs to happen facing towards your body. Sit in a comfortable, seated position with your eyes closed and take 10 deep breaths. Inhale for a count of four, and exhale for a count of four. Only concentrate on your breath at this time. Inhale and Exhale. After you have finished your breathing, bring the mental picture of your blockage to the forefront of your mind, to the place that lies in between your eyes. In yoga, we call this your “third eye”. Sit with the picture for a moment and on your next exhale, imagine the mental picture pushing forward, out of your head and into the space in front of your body. Repeat this five times. Each exhale pushes your blockage farther away and outside of your body. When you have finished your fifth exhale, slowly open your eyes. When you have finished, you can choose to dispose of the paper in which you wrote your road block in any way you like. Tear it up, burn it, pour water on it, give it to someone else…whatever you need to do to make sure you rid yourself of your blockage. Pushing your brain through the messiness takes time. Do this exercise once daily until the weight of the issue seems light and full of clarity. Trust yourself, I promise you will know. When we make the conscious decision to allow our mind to sit quietly and heal from the inside, we become one with ourselves and our possibilities are endless. Remember, the mess only means beauty is right around the corner! Enter your email address and get Lauren's Free 5 Day Meditation Course straight to your inbox! Enter your email & I'll see you soon! Check your email for your first recording! Enter your first name and email address and get the Intro to Whole Living Guide straight to your inbox!